I can't believe it is already May ~ the days seem to fly by! 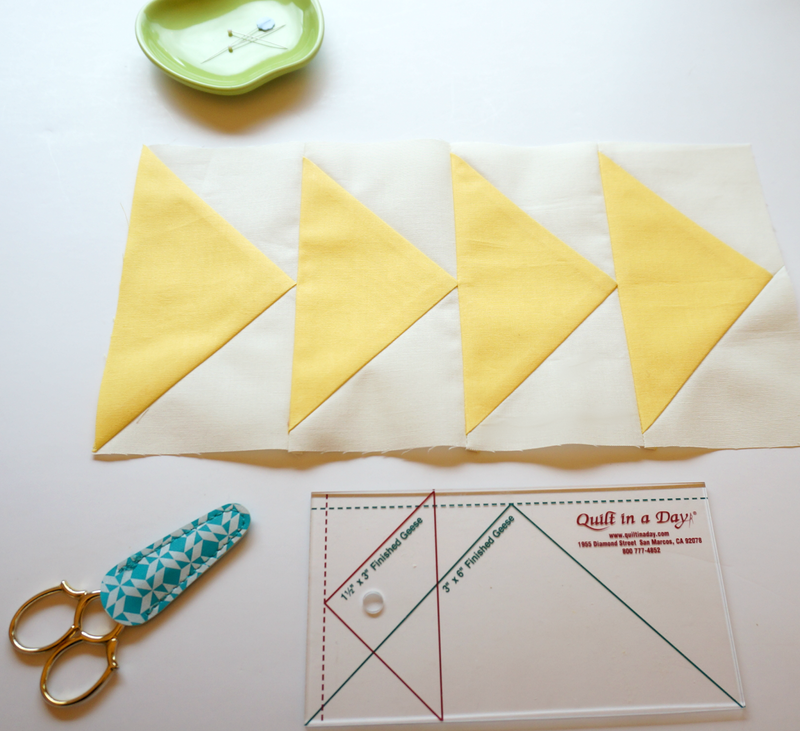 Today is the reveal for the fourth block in the Bella Skill Builder Sew Along hosted by The Fat Quarter Shop. The lovely quilt is designed by Sherri McConnell of A Quilting Life. Though I have always admired Flying Geese blocks, I have never sewn one! Well, after using the "Quilt in a Day" flying geese ruler, I am hooked. 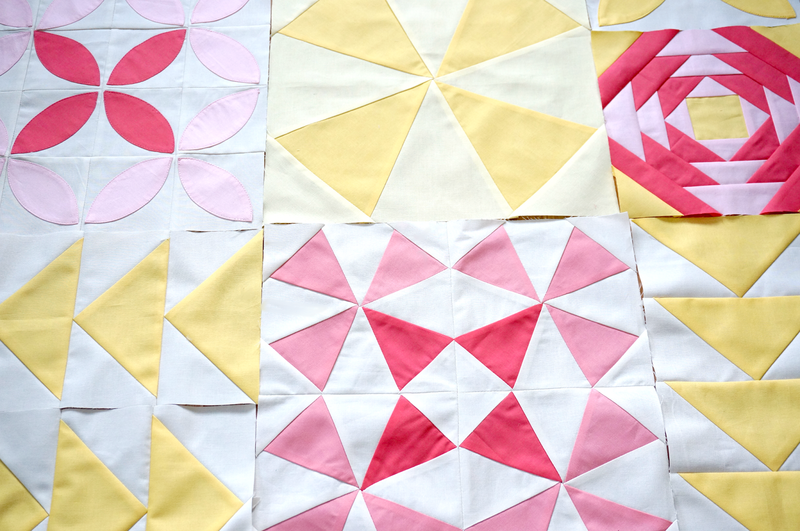 There is definitely a flying geese quilt in my future. The ruler is brilliant and makes the blocks so easy to stitch up. I think it took me a little over an hour to make the three units you see above. 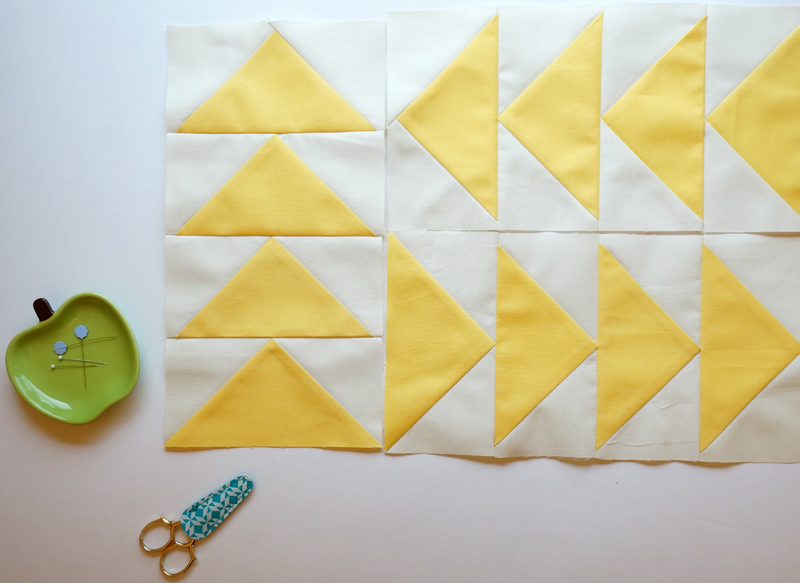 I chose the sunny yellow with ivory background for these blocks. The simplicity is so refreshing. And yellow just happens to be my favorite color. 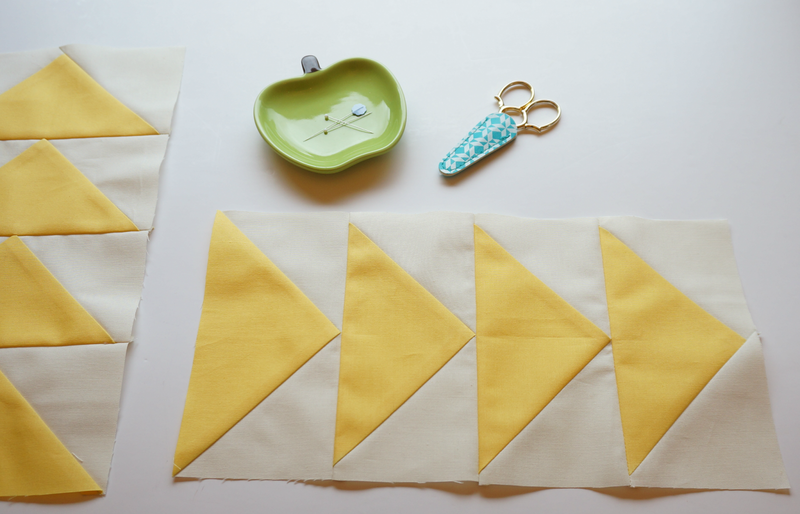 Be sure to click on over to the Fat Quarter Shop Blog to get you copy of the pattern and a link to a video to help you make the block.